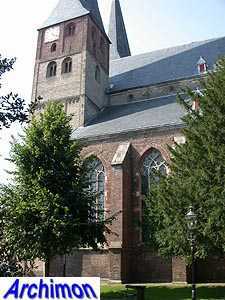 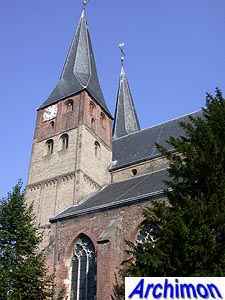 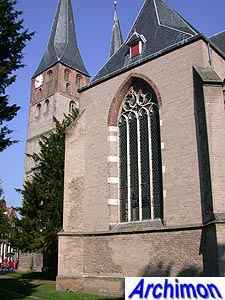 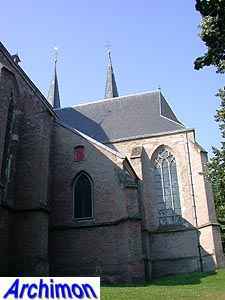 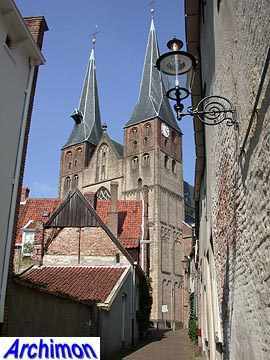 Gothic churches with two towers at the front are rare in the Netherlands. 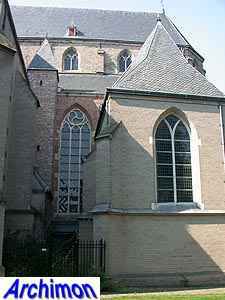 In fact, there are only two such churches, although more were planned and perhaps even have existed. 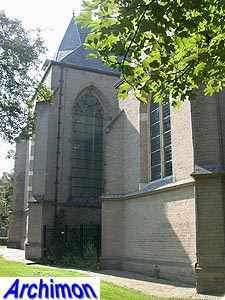 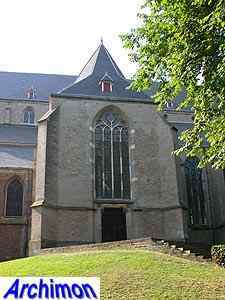 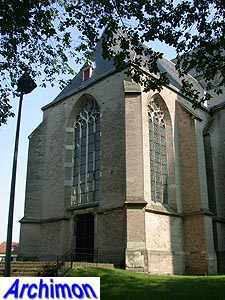 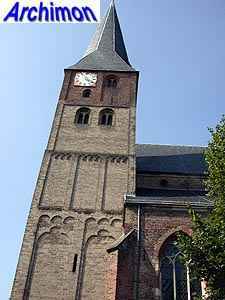 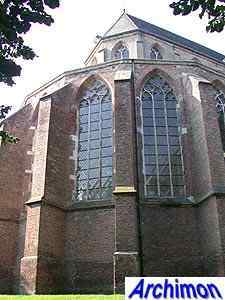 But while the St. Walburgis in Arnhem was built as a Gothic church, the front of the Bergkerk is definitely Romanesque in origin. 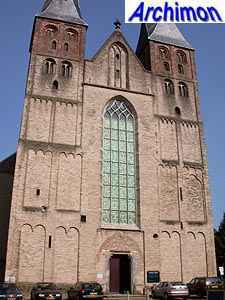 The tuff Romanesque church was built in ca. 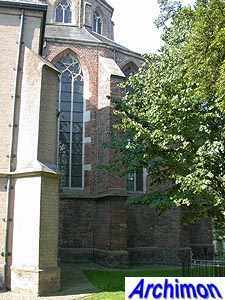 1200. 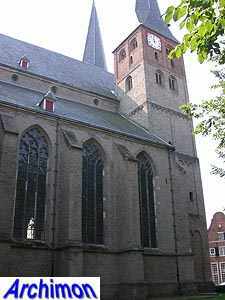 In 1206 the bishop of Riga consecrated it to St. Nicolaas, protector of merchants and sailors. 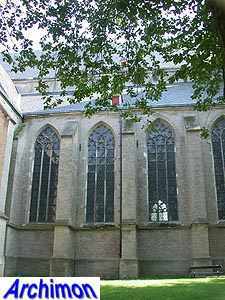 This was a cruciform basilica that in ca. 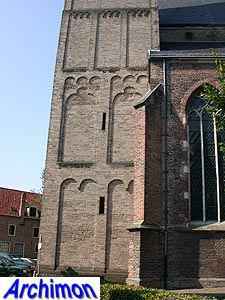 1460 was extended in Gothic style. 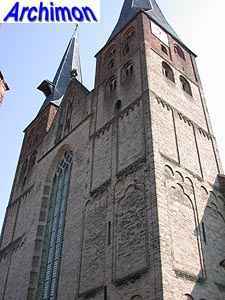 The towers were heightened in Romanesque style though, albeit in brick. 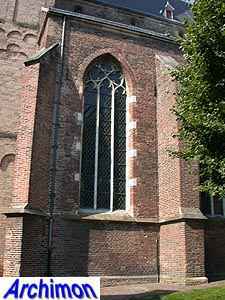 Of the Romanesque church also the clerestory has survived, with its small round windows. 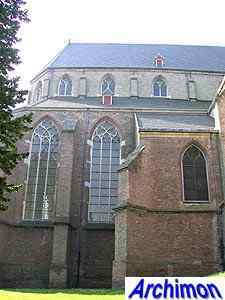 The roofs of the Gothic side-aisles are so high and the windows of the clerestory are so small that at first sight the church appears to be a pseudo-basilica on the outside. 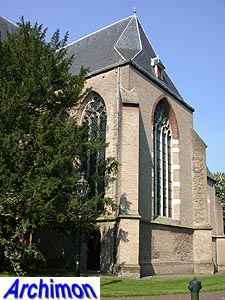 The choir dates from the 15th century. 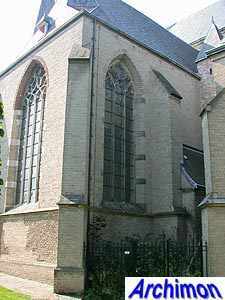 It has a narrow ambulatory and a clerestory with larger pointed windows. 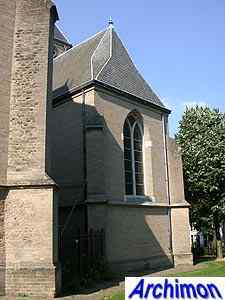 The building is no longer used as a church.